How much is Tate Donovan Worth? 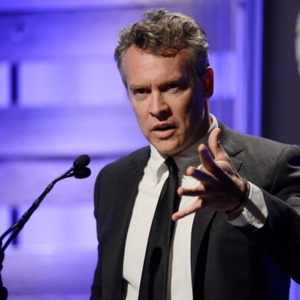 Tate Donovan net worth: Tate Donovan is an American actor and director who has a net worth of $5 million dollars. Tate Donovan was born in New York, New York, and began his professional acting career when he was in his teens. He went on to graduate from the University of Southern California. He began his professional performing career in the mid-80s, appearing in such television movies and feature films as "No Small Affair", "Not My Kid", and "Space Camp". He then began adding television credits to his resume, appearing in guest starring roles on such television shows as "Magnum, P.I.". Since then, he has gone on to a steady career in both film and television, appearing in such projects as "Dangerous Curves", "Memphis Belle", "Love Potion No. 9", "Ethan Frome", "Murder at 1600", "Swordfish", "Good Night, and Good Luck", "Nancy Drew", and "Argo". He is most widely recognized for his co-starring roles on "Damages", "Deception", and "Hostages".